A Guelph man is blasting the government for "horrendous" communication after his relatives were stuck in a Frankfurt airport for two days while they tried to acquire an eTA to travel to Toronto. "It's beyond belief why it even exists, this eTA. What's wrong with a passport?" said Robert Maier, who had paid for his wife's aunt and uncle to travel from England to Toronto in December, to attend his daughter's wedding reception. What is electronic travel authorization and who needs to worry about it? "There might very well be a good reason, but it's not communicated, and that's the biggest problem. The communication from the government is horrendous." 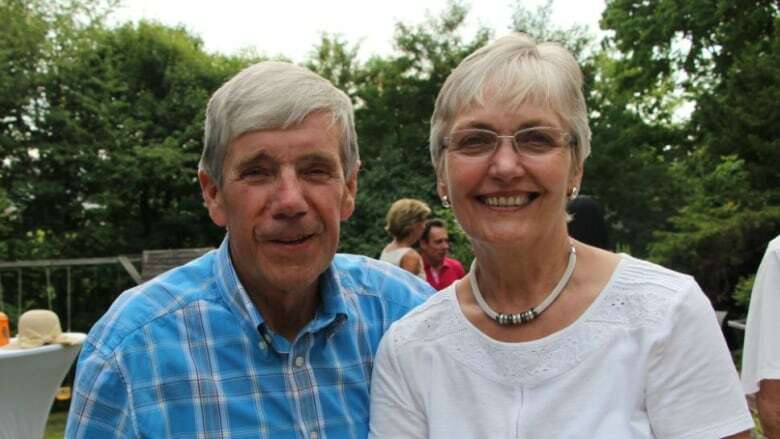 Maier's relatives, Michael and Dorothy Walsh, had been in Canada in July for Maier's daughter's engagement party, and had not needed an electronic travel authorization, or eTA, at the time. Maier decided to bring the Walshes over again in December as a surprise for his daughter, and a treat for them. "Because it was a treat, we had them fly business class, and it was over $8,000 for the two of them," he said. "They've never flown business class before. I just thought, as part of this whole ceremony for my daughter, that it would be a nice treat for them as well, to come in and have that." The flight was scheduled for Dec. 18 and was booked with Air Canada, in partnership with Lufthansa. It would depart from Manchester, with a four-hour layover in Frankfurt. When the Walshes arrived at the Manchester airport, Maier said the couple was told that they would need an eTA when they arrived in Frankfurt. It was the first time the couple heard of the electronic document and they were surprised, but Air Canada staff helped them fill out the required forms and assured them that the documents would be there when they landed. But when they arrived in Frankfurt, the eTA was not ready. "They called us at 5:00 in the morning our time, saying that they were now in Frankfurt and that they won't be able to come over because of this ETA problem," Maier said. "We were devastated, of course. I thought I had done something wrong. I was, for two days, trying to get this resolved from my side, and I couldn't do anything, couldn't figure out what the problem was." While Maier tried to solve the problem from his end, the Walshes did the same from their end. On Dec. 20, the couple was finally told that they would not be receiving an eTA. The reason for the denial surprised them both: because they had lived in Canada for six months in the 1970s, they were considered Canadian residents and, as such, need to use a special application. "At that point, they had had enough – of course, 48 hours in the airport – that we just said, 'Okay, you're not coming.' And we flew them back to Manchester and had them taken back to their home in Southport." Maier said the Walshes finally received their eTA on Jan. 5, after formally rescinding their Canadian residency. But, for Maier, the document came 19 days too late – his daughter's wedding reception has already come and gone. "They've known Natalie – my daughter Natalie – since she was one. Natalie took her first steps in their back yard 26 years ago, close to 27 years ago now. She's been the granddaughter that they could never have," he said. "It's really disappointing that they missed this event, because it's only a one-time deal. You know, she only gets married once." Maier said he has written to the government and to his local MP, but has not received any word in return. CBC News also reached out to Citizenship and Immigration Canada and was told the government "has been doing everything it can to raise awareness of the new travel document requirement" since Aug. 1, 2015, when the eTA was introduced. According to a government statement, efforts to raise awareness have included, "distributing large numbers of printed eTA information materials to travel organizations and directly to travellers ... running the eTA video in arrival areas at Canadian airports in the lead-up to eTA becoming mandatory, placing eTA information at check-in gates in international airports and some airlines including information in pre-flight emails to Canada-bound passengers." The government also ran an advertising campaign in February and March 2016, that targeted the top ten countries from which visitors would need an eTA, including the United Kingdom. CIC officials told CBC News Canadian embassies and consulates "have issued news releases in eTA-required countries, posted information on their websites and via social media channels, reached out and distributed eTA information to hundreds of local organizations, including local governments, travel agent and tourism associations, educational and business organizations, and participated in a number of educational and travel trade shows and events." "As expected, there are a few isolated cases where travellers have experienced delays, which are regrettable," the government said in a statement. "But overall the eTA system is performing very well." Since Aug. 1, 2015, the government said more than 2.7 million eTAs have been issued.